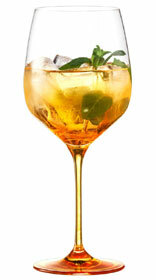 Perfect cocktail and gin and tonic recipes! With the growing trend for Gin in the UK, here at Wineware we’ve listed some of our favourite cocktail and gin and tonic recipes to get your taste buds going! We’ve got some really quick and easy to make recipes that taste wonderful and might make you slightly merry! Pour 1 part Gin (make sure you choose your favourite! 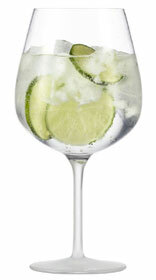 ), 1 part Tonic, 2 parts Soda Water and some ice cubes into one of our specific Gin and Tonic glasses. You can then either squeeze and place your wedge of Lime into the mix or run it round the rim of the glass then place into the mix. 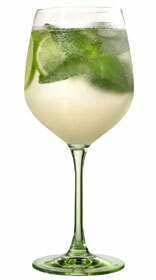 Stir your fresh gin and tonic to encourage all the flavours to mix together! Pour 1 part elderflower syrup, 3 parts Prosecco into a nice large bowl, gently add some mint leaves and Ice, making sure you stir well. Finally add a wedge of lime, you can either squeeze and then place directly into the mix or alternatively run the lime around the rim of the glass and then place into the bowl. This gin inspired cocktail is great in the summer! Pour 3 parts Prosecco, 2 parts Aperol, 1 part soda water, a few slices of orange and a few ice cubes into a large wide bowl, make sure you stir well before drinking! This is a very fruity gin based cocktail, perfect in the evening when sitting outside in the summer! If you have any other suggestions and have made some great Gin inspired cocktails we’d love to hear from you, either leave us a message on this blog or chat with us on Twitter or Facebook!